UNG freshman, Abbie Crane, scored the first goal, getting behind the YHC back line and found VanHorn at the near post. VanHorn redirected the ball across the net, passing the Mountain Lion goalie putting UNG up, 1-0. Malasek scored during the 63rd minute, after taking a pass from VanHorn and launching the ball over the top of the YHC keeper to push the match to its final score. The Mountain Lions put pressure on the Nighthawk defense, but UNG stood strong and earned their third clean sheet of the season. 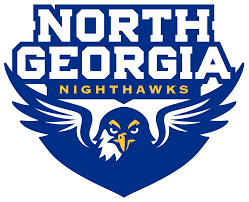 UNG has now claimed its 10th straight season with double digit wins.